After the passing of Eusébio, who takes his place in the sport’s hall of fame, here’s the tale of the Portuguese international’s incredible life, which spanned over seven decades. Eusébio da Silva Ferreira was born on 25 January 1942,in Maputo, the capital city of Mozambique. His father, Laurindo António, was a railroad worker of Angolan descent and his mother was Mozambican. Laurindo António unfortunately died of tetanus when Eusébio was only eight and it was up to his mother to single-handedly raise the young prodigy. He was brought up in the poor surroundings of the African country’s capital and his upbringing consisted of playing the game he loved for endless hours with large sided football teams, using makeshift pitches, goalposts and footballs made from newspapers and socks rolled into balls. Here, he developed his impeccable first touch. Here, in the village of Mafalala, a star was born. After his local team, Sporting Clube de Lourenço Marques, handed him his first professional opportunity, it took just three years for Benfica to capture the signature of the 18-year old forward – something Juventus failed to do three years previously as his mother refused contact. But as Benfica and a whole host of clubs came calling, Eusébio was firm in negotiations and refused to leave his mother behind, who stood by and raised him in such difficult circumstances, until he was offered a concrete deal by a club. With Benfica, the lightning fast player, nicknamed the Black Panther, spent 15 years. In that time, he made a record 614 official appearances for the Águias, scoring on 638 occasions. On a personal level, he was the Portuguese league’s top scorer seven times and the recipient of the prestigious UEFA President’s Award in 2010. In the 1962 European Cup final victory over Real Madrid, he scored the crucial goals in a 5-3 victory and, at the final whistle, the game’s legendary Hungarian and Madrid inside forward Ferenc Puskás, handed his jersey to Eusébio after the match. It represented a lasting respect between two greats and the Hungarian seemingly handing over the title of the world’s best. Three years later, in 1965, he was recognised with the European Footballer of the Year award and as a relatively new player to the European game, he notably outshone a certain Pelé in a friendly against Santos, the first time the two would meet. It was the start of a great friendship between the pair. In total, he fired Benfica to the European Cup, 11 domestic league titles and five Portuguese Cups. After his Benfica departure, Eusébio prolonged his career, lasting 22 years, as he went on to play for various clubs in the North American Soccer League and later became an ambassador for the sport. Whilst immensely proud of his exploits with Portugal, Eusébio never forgot his African roots. He was, by all accounts, the first great African footballer to grace the European game and the first icon from a continent that has since boasted some of the world’s finest players. He qualified for the Portuguese national team due to Mozambique being a Portuguese colony and he played his way into the history books of the nation; he earned 64 caps and scored 41 goals for Portugal, a record which stood for almost two decades. During his time as a Portuguese international, Eusébio fired A Selecção to a third place finish at the 1966 World Cup. 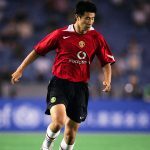 He finished the tournament with nine goals; it would be his only experience of playing at various club grounds in England. Famously, the one ground which stood out for him most was Goodison Park, where he graciously described it as a “special place”. Everton fans to this day cherish his words. The hugely decorated legend described the tournament as, “The high point of my career. We may have lost the semi-final, but Portuguese football was a big winner.” An international trophy was certainly one thing absent from his career’s trophy collection. His passing on 5 January 2014 marked a sad day for the world of football. Portuguese figures such as Cristiano Ronaldo, José Mourinho and Luís Figo paid tribute as well as many other icons throughout the history of the game. 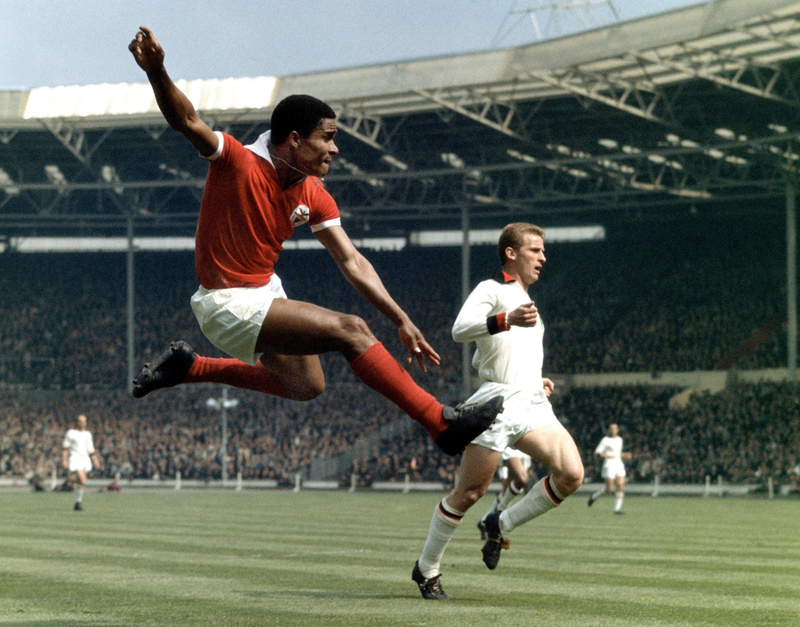 Franz Beckenbauer described him as “one of the greatest football players ever”, and Pele ranks Eusébio among the best ever to grace world football. His shooting was one of the most powerful in the game and with a combination of speed, touch and physical power, he proved to be a handful at both club and international level. His era came during a slightly unfortunate period as Pele dominated and took much of the plaudits at the time, but Eusébio was undoubtedly one of the world’s greatest that few of today’s fans were lucky to see. Grainy footage of his goals take nothing away from the Black Panther, whose record totals an incredible 733 goals in 745 games. One of Africa’s finest, Portugal’s greatest, and the world’s most loved.